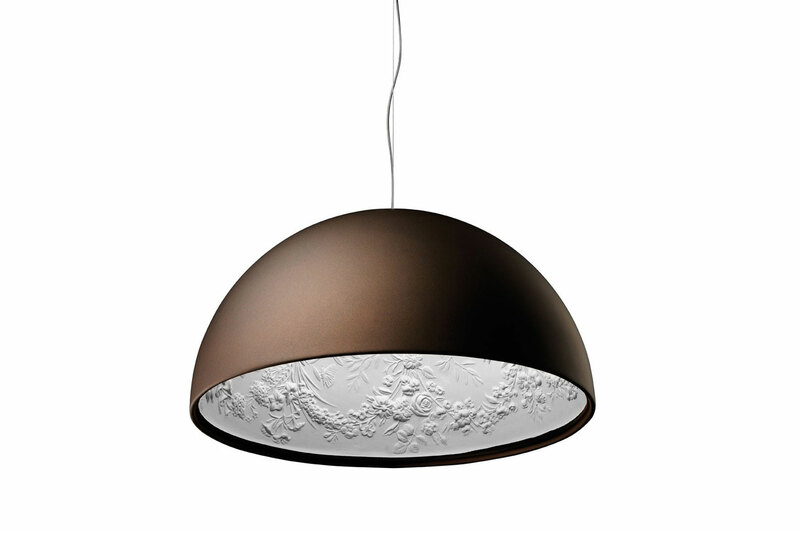 The external simplicity Skygarden pendant lamp designed by Marcel Wanders conceals its inner beauty. Underneath the hemispherical cast plaster shade is a white-painted, photo-etched, mechanically-drawn frieze that adds interest to this lighting feature when illuminated by the blown opal glass diffuser. Outer shade finish is also available in rust, glossy black, glosssy white or matte gold.